Biographical sketch from the American center for Artists. Biographical sketch by Janet Gabler-Hover and list of selected readings at the New Georgia Encyclopedia. Biographical sketch from the Alabama Hall of Fame. (Image is courtesy of this site). 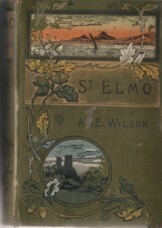 Image from an 1890s edition of St. Elmo.